Feel right at home in a cozy apartment for 2 people. Your apartment is parterre. They come with a private, enclosed grounds with private access. The quiet location on the outskirts of Mirow, directly by the woods, ensures relaxation. 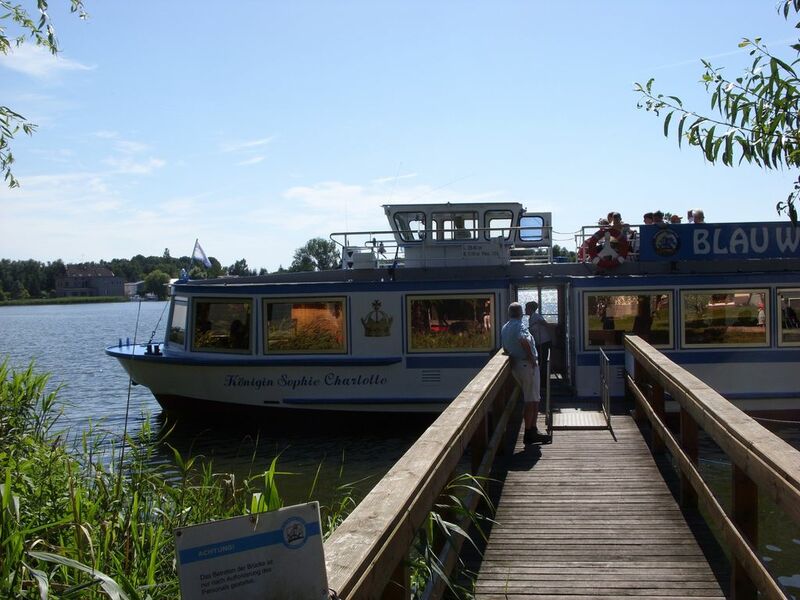 Until the lock on the Müritz-Havel waterway, there are just 500 m. Up to the beach with an exclusive beach restaurant with lake views and terrace is about 30 min. Walk. The apartment includes a kitchen, bedroom and large bathroom. Your kitchen is equipped with an electric stove (2 plates), refrigerator (freezer), microwave, coffee maker, kettle and a large flat screen television with satellite connection. The rooms have laminate or Tiled floors. Also on the covered terrace, furnished with wicker furniture, you can make yourself comfortable. There is garaging for your bikes. Barbecue, sun loungers and umbrellas are naturally also available. In place are u. A. 4 supermarkets, 2 banks, 1 health center, 1 bike home with bike rental / Wireless and boat rental (with boats even without a license). We provide linens and towels. The rate also includes all utilities (electricity, water, cleaning) .Mirow is surrounded by the Mecklenburg Lake District (the land of 1000 lakes) .Here you will find the ideal water for hikers. Whether paddling, canoeing, motor boating, everything you can in the immediate vicinity. The well-developed bike paths (a Müritz itinerary is not a problem), offer the chance to look around and enjoy. The bike path in Mirow is actually just a few meters from your apartment. Bathing facilities can be found both in Mirow, as well as in the surrounding lakes. Of course, indulge their hobby of you will also find the fishing enthusiasts. separate apartment, quiet location on the outskirts of Mirow, near the forest, walking distance to the canal / sluice - "Gateway to the Müritz". In the village you will find a beach with beach restaurant, several restaurants, a train station, a bus station, health center, 2 pharmacies, 4 supermarkets that Mirow castle with park and castle island, Hospitaller church, the gatehouse and the lock with 2 lift gates (height compensation 3.5 m), boat rental and bicycle rental. Mirow is located directly on Lake Mirow - the Müritz can be easily reached by bike.